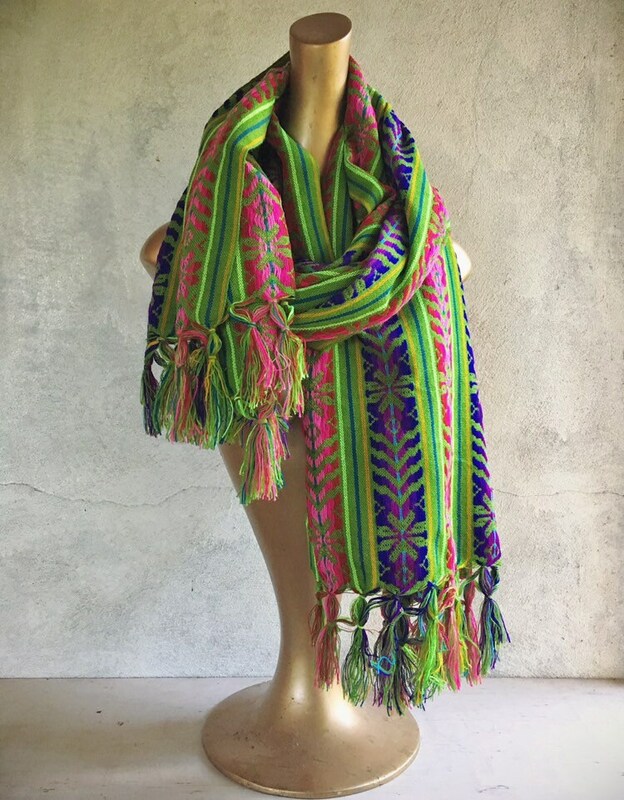 Rebozo is a Spanish word that comes from the verb that means to cover or envelope oneself, and if you love bright colors, you'll love this Mexican shawl. 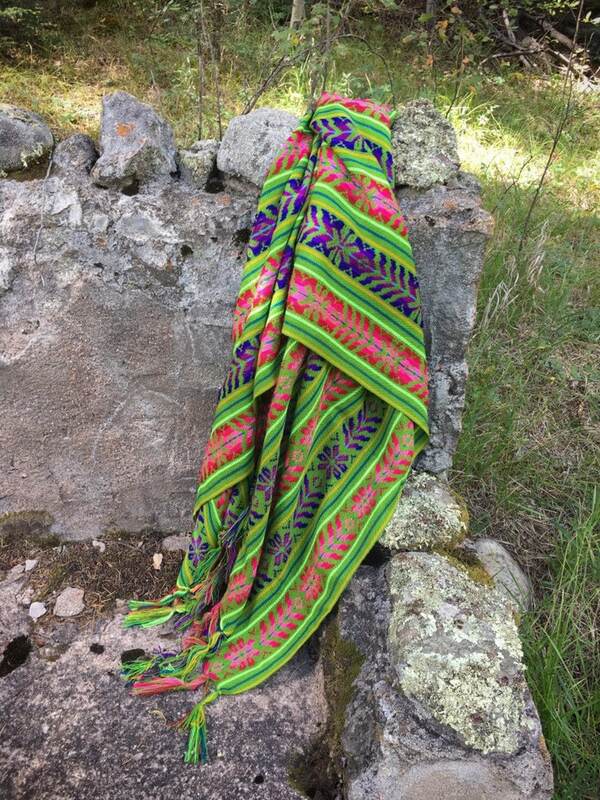 Rebozos have a long history in Mexico, and most were worn over the centuries by women and men in that country as an everyday cover. 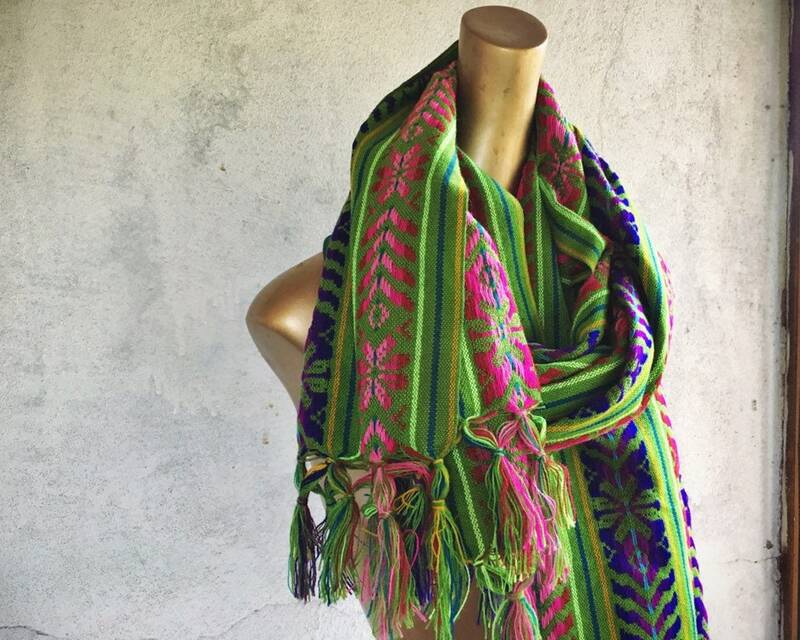 This rebozo is made of a cotton or acrylic thread and would be more casual, unlike the ones made of wool and silk, and worn in the valleys of Oaxaca. 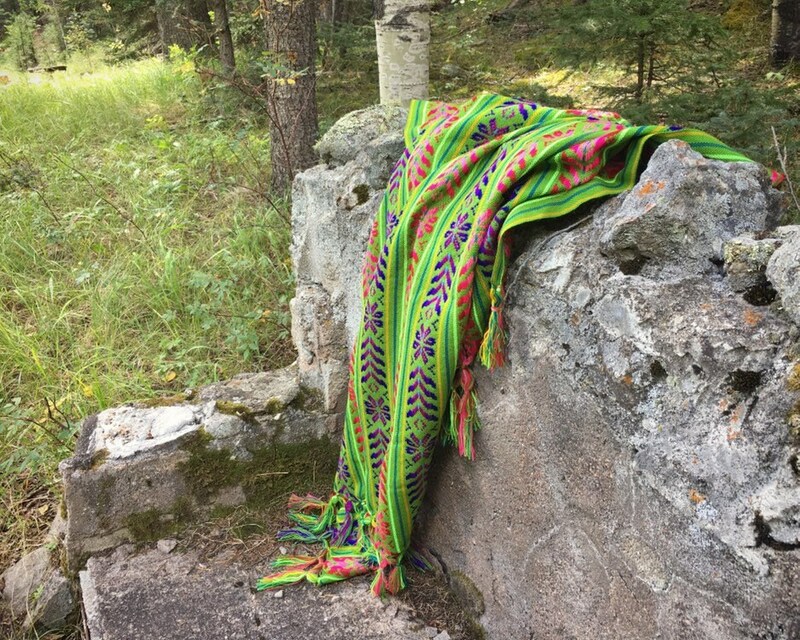 I love the vibrant green background interwoven with pinks and red, purples and blues, and hints of yellows. 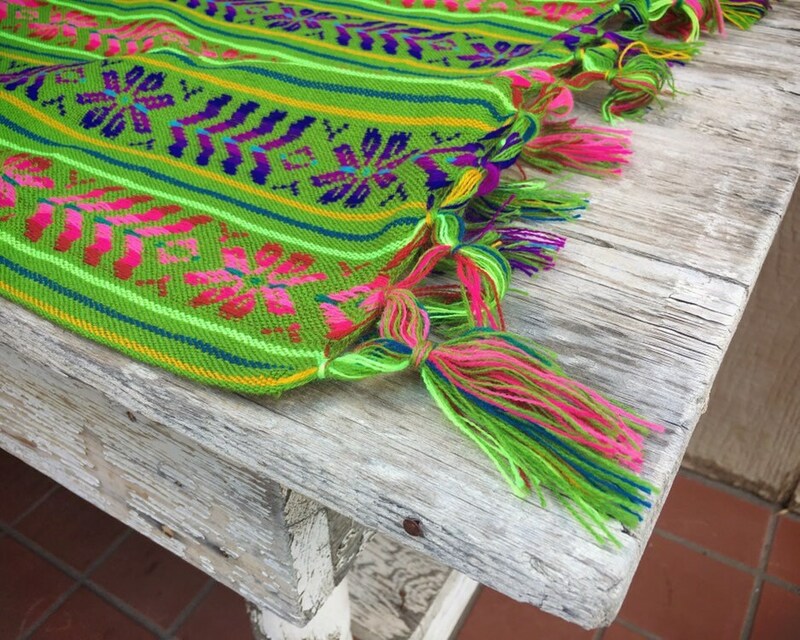 It can alternatively be used as a table runner, to add color during a fiesta, such as a Day of the Dead gathering. 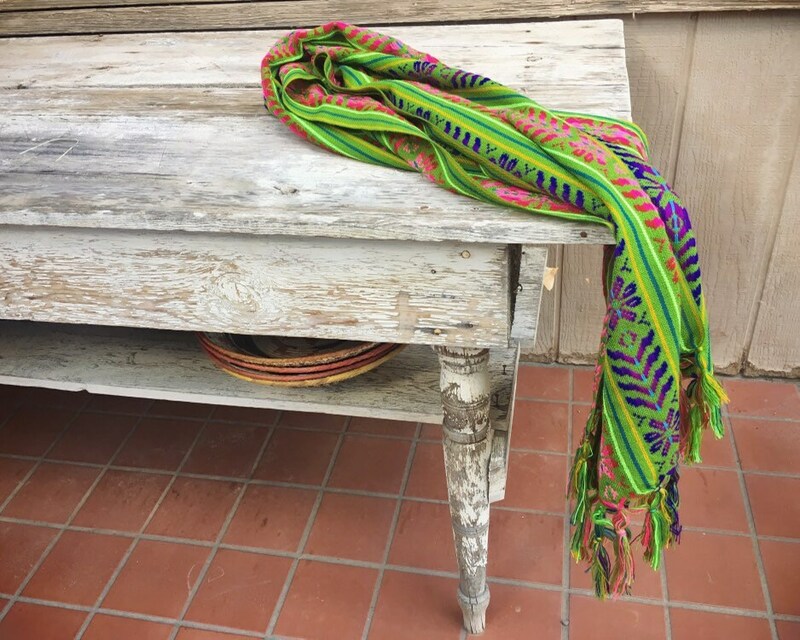 Or fold and set on a wooden bench for a great Latin American rustic look. Or throw over the side of an armchair to add a splash of color to your home. 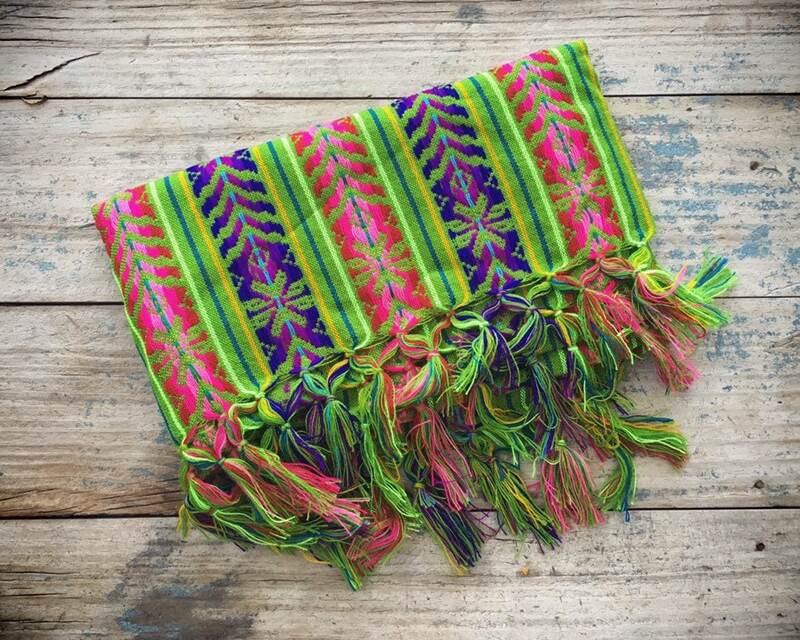 The piece is lightweight with a tight yet not super fine weave. Only hand wash or spot wash, air dry. 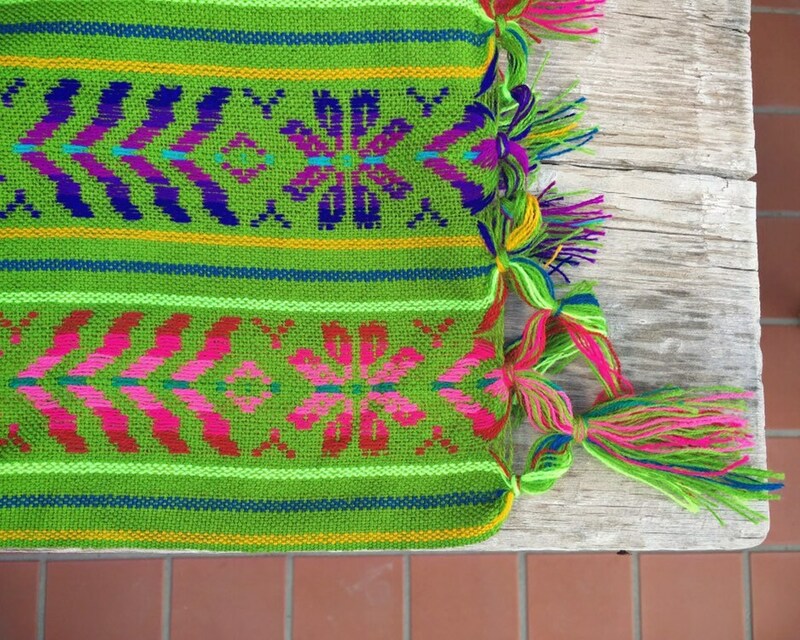 The rebozo measures about 30" wide by 74" long not including the fringe, which adds 3-4" to the ends. A few snags that can be gently pulled back into place. Otherwise in good condition.